The holidays may be over, but another ceremonial process has only just begun — awards season! Throughout the next few months we will see countless of our favorite Hollywood stars come together to celebrate everything the entertainment industry has accomplished over the past year. And while the People's Choice Awards may have been the first official ceremony to launch us into the new year, this Sunday, Jan. 10 will find our talented actors flocking to the Beverly Hilton in Beverly Hills for the 73rd Golden Globe Awards. That's right, folks — starting at 8 p.m. ET on NBC, the 2016 Golden Globes will once again look to recognize both film and television that took place throughout the past year across 25 different categories. And while it may not be as prestigious as the Academy Awards, it's always proven to be one of my favorite nights of the year. Not only does it help indicate how these movies and shows will fare throughout the rest of the awards race, but its laid back atmosphere can lead to some pretty memorable moments as the evening progresses. But just in case you need a little more incentive to tune in for all the festivities when the clock strikes 8 p.m. (immediately following E! Live From the Red Carpet from 6-8 p.m.), then here are a few sound reasons for why the Globes deserves your undivided attention. 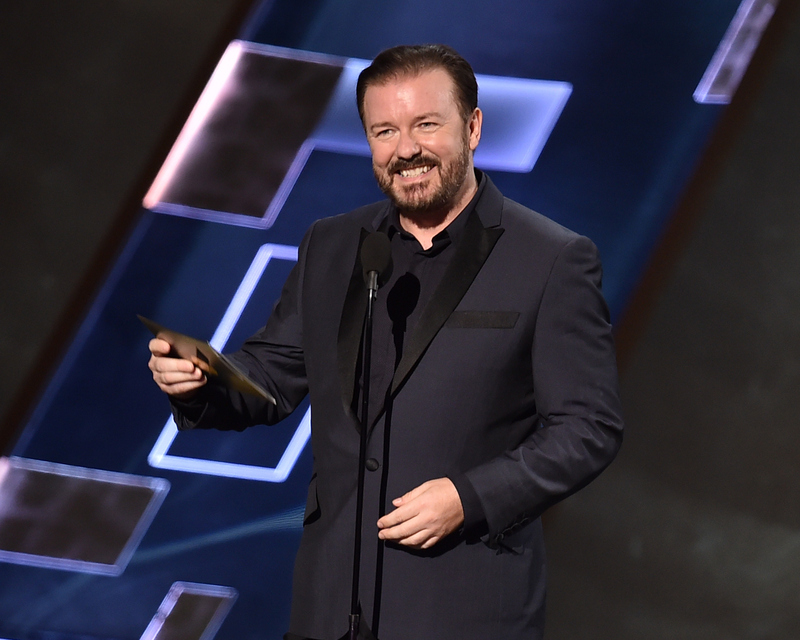 While there's no denying that Tina Fey and Amy Poehler will be sorely missed as this year's hosts, you can always count on Gervais to hold your attention, whether it be out of hilarity or absolute horror. Either way, it'll provide a night of comedic mayhem that you won't want to miss. From Olivia Wilde and Amy Adams to Eddie Redmayne and Channing Tatum, viewers are guaranteed some face time with a variety of Hollywood's finest. And really any time looking at Channing Tatum in a suit is honestly time well spent. 2015 proved to be a great year for women in entertainment, so you can rest assure that some of these wins will immediately be followed by powerful speeches that acknowledge this fact and hope to inspire future change. I bet you'll find yourself jumping up for joy on more than one occasion. From gorgeous gowns to form-fitting suits, these stars will look runway ready regardless of whether they're taking home the trophy or sporting their gracious loser face. This is a live show, which means there's bound to be a ton of awkward moments and unprecedented slip ups that everyone will be talking about for weeks on end. And really, who in their right mind would want to miss out on something like that?